I hope everyone has a delightful Christmas/ Holiday season with all your friends and family. I will be spending the day with Tim & Barb and the other Joneses. If you think I'm quirky...imagine all of us together. 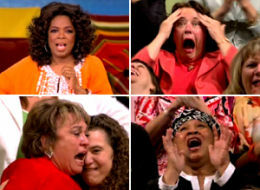 and hopefully "Oprah's Favorite Things Audience" type reactions to the gifts that you may receive or about the food you may eat. stated previously and essential oil http://www.ekloset. who in turn add their own viewpoint.